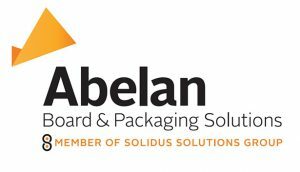 Abelan Videcart, member of Solidus Solutions Group, located in Ibiricu-Egües (Navarra), has approved an investment of €4.4 million for the acquisition of a new 6 colour + varnish Offset Press designed for printing in big format, both UV and acrylic inks. The new press has been specifically designed for high speed printing of board with a caliper of 0.2 to 1.80 mm. This new equipment is going to allow Abelan Videcart, not only to offer a wider and higher quality range of solid board products to the current customer base, but also enabling Abelan Videcart to increase the portfolio in folding carton packaging. Abelan Videcart, which is equipped with lines for laminating, Flexo and Offset printing, die-cutting and folding-gluing, is the biggest producer of solid board packaging for the food industry in Southern Europe. In 2017 it reached a production of 38.000 tons and a turnover of €45 million, growing by 8-12% each year. The company counts around 100 employees and is fully integrated with the paper mill Abelan San Andrés S.L., Villava (Navarra). Both companies were acquired last January by investment company Aurelius and integrated in the Solidus Solutions Group, worldwide leader in the production of solid board, solid board packaging and graphic board.